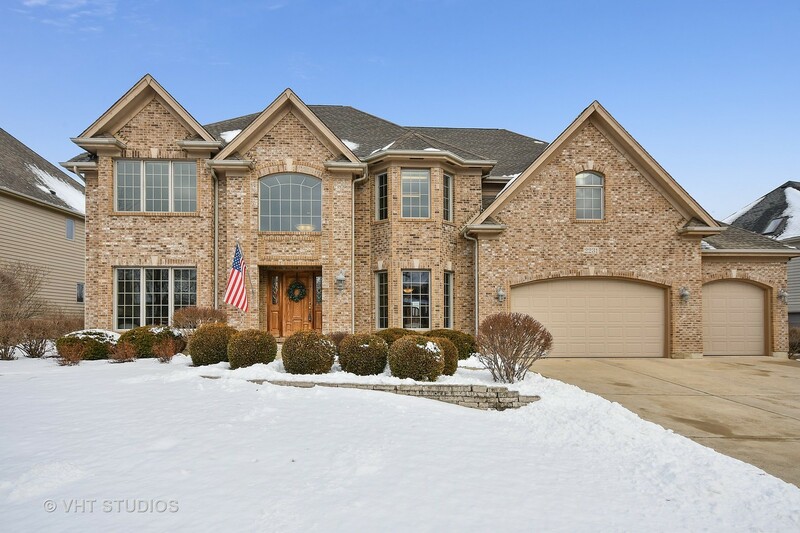 GORGEOUS, Custom home in highly sought after Tanglewood Hills subdivision. With over 4,200 sqft this home has it ALL--3 Bedrooms Upstairs including a Master Suite with sitting area, huge Master Bathroom with soaker tub & walk-in shower & Master Closet w/over 325 sqft!!! Floor plan is perfect for those seeking a mother-in-law suite, guest suite, playroom or master bedroom on the 1st Floor. The kitchen is a dream for those who love to cook & entertain with a massive island, 48"Thermador Range, Viking Refrigerator & Wolf Oven. Perfectly located in the neighborhood away from traffic and a few steps from the local park, enjoy the private backyard of this home year round. The bsmt is awaiting your finishing touches, deep pour and rough-in for 4th bath. This well maintained home feels brand new!!! Close to schools, local shopping and restaurants and only mins to I-88 & Metra. Tanglewood Hills is a resort like community offering its residents a clubhouse, pool & tennis courts.